Let us find out how you can move your emails from Outlook Mail Software to its Windows counterpart without losing your sanity. Because, if you aren’t aware of it, this is a complex job and the proper tools and help are severely lacking. Outlook Mac Software is popular for managing emails, contacts, and calendar entries. Outlook 2016, the latest version, brings novel but relevant features to Mac users, refining the experience even further. The essential improvement was in the collaboration aspect. It was, in fact, all over the Office suite as a whole. The linking of Outlook with OneDrive and other cloud services, ability to work with teams and groups and similar other features take Outlook further into popularity among Mac users. However, there are still some features lacking when it is set side by side with its Windows variant. It’s not a surprise then that users who have to work excessively with emails decide to move to Windows PC and Outlook, quitting Mac environment entirely. Besides, there could be many other reasons for switching to Windows other than wishing to use Windows Outlook. In any case, if you were using Outlook software for Mac, you are going to need to move your data to your new, Outlook software for Windows. Which is not a problem when it comes to emails (or other items) in your email servers. You can simply add your account to Windows Outlook and let the software sync your data from server to client (Windows). It gets complicated if, in the past, emails were deleted from the server and were saved locally in Mac Outlook database. You can still transfer the data using the server to client (and vice-versa) syncing to import data to Windows Outlook, but it will be a rough ride. It will consume your internet bytes and your time and the result will be lousy in terms of data integrity. What are the Possible Choices for Outlook Software data Migration? Which brings us to the question of how can one successfully, and easily, migrate the contents of Outlook Mac Software to Outlook Windows. There are few choices that one can take. The first one is mentioned in the passage above – syncing data from Mac Outlook to the server (IMAP enabled), and then from the same server to Windows Outlook. It’s pitfalls were discussed in brief; so let’s just put it to rest by concluding it as unsafe, lengthy, and unpractical solution for data migration. The other options are 1)Olm to Pst Conversion, and 2) Direct Outlook Mac Software to Pst conversion. Both of these may sound like the same thing but are not. Olm file is the archiving data file used by Outlook Mail Software in Mac. You may already have the file if you archived your data in the past in order to clean up space from your servers. It might have been possible that you didn’t save your Olm file permanently, but the data was imported to Outlook using the same file. In that case, you can still see the emails stored in your “On computer” folder in your Outlook, yet you may not have the Olm file. Let’s first talk about the 1st option – Olm to Pst Conversion. Olm to Pst Conversion involves the data files of both clients (Mac and Windows). It is done by first archiving data to an Olm file (if you don’t have that already) from Outlook Mac Software, then converting it to Pst file using a third party converter, and then the Pst files are imported to Windows Outlook as the final step. At the current stage of email migration industry, you could find many Olm to Pst Converters. However, a quick 30 minute probing on internet, you would realize that they are very limited. Most of them are Windows based solutions. The features are also lacking, which results in crudely converted output files without much control and flexibility. And most of all, these tools are taxing on users’ productivity due to the sloppy performance, poor interface, and no support. It is considered better than the manual migration method described above, but it requires a professionally built tool. Which is the problem in the first place. Due to lack of official support from Microsoft, users are forced to go to third party. This spawned a lot of new converters coming to market every day,but sadly, none of them have the capability of offering quick and effective file conversion between Outlook Mac Software to Outlook Windows. They are slow and sloppy, taking immeasurable amount of time. It gets worse if you have many emails and other items to transfer. They can be taxing due to their complicated interfaces. Basic users get flustered while trying to make sense of how the tools work. They are not capable of complete data conversion. Users find many instances of broken text, images, headers, and so on. These tools also fail to convert non-English text, folder hierarchy, and email attachments. This could be the biggest lacking issues of current gen of software. In spite of this, you could probably negotiate between the hurdles and the advantages and get through the conversion job, albeit with challenges. It might be doable if the database is small and doesn’t contain complex items that are challenging for most software to convert, such as, non-English text, lots of graphical content, etc. If you are looking for the best migration solution and do not want to compromise on any front, proceed to read the next and the final section of this article written below. 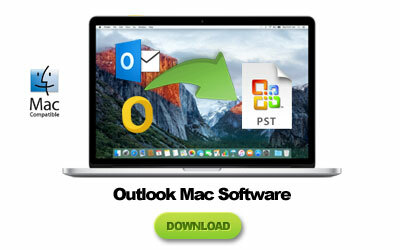 Remember the second option for migrating data – Direct Outlook Mac Software to Pst conversion? That is what “Olm to Pst Converter Ultimate” by Gladwev Software does. How does it differ from traditional Olm to Pst conversion? The tool auto detects the identity folder where Mac Outlook data is stored. Which means there is no need for Olm files and for you to manually archive data to an Olm file. The tool’s intelligent algorithms pick up every byte of information from identity folder and converts them to Pst format. The result is deeply satisfying in term of speed, performance, and conversion accuracy. It effectively fends off all the vexing issues usually seen in conventional approach. There is no data loss. The converted Pst files have data that accurately mirrors the data in source folder of Mac Outlook. It delivers accelerated rate of conversion. The tool also includes enough power to deal with large databases in a amazingly stable and efficient manner. There is no trade-off for one feature with another. For example – it converts huge databases to Pst files in a snap but doesn’t compromise with the quality at all. You get refreshingly simple interface but equally functional and powerful with lots of features. 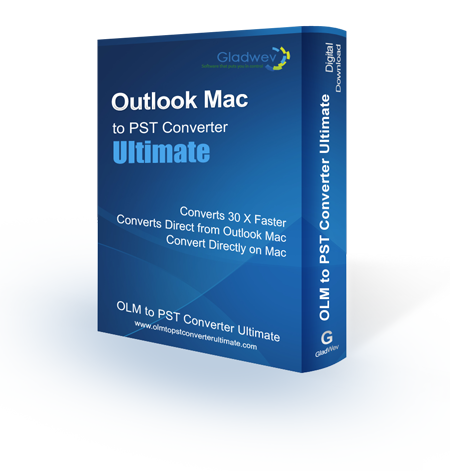 “Olm to Pst Converter Ultimate” brings the best method for Outlook Mac Software to Outlook Windows migration. Even though the name says “Olm to Pst”, its best feature is converting data directly from the identity folder. Sidenote* – It also allows you to manually load Olm files just like in traditional converters. This is to make it useful even for users who have their the data in Olm files and not in Mac Outlook. Furthermore, in case you have the data in identity folder but also in Olm files, ignore the Olm files and convert it to Pst directly from Identity folder. Simple interface that even beginners can use easily. It supports non-English text conversion. It converts images, attachments, headers, meta-data, and everything that can be converted. It also converts contacts and calendar data accurately. You can split large Pst files so you don’t face any problem while importing them to Windows Outlook. The folder preview allows you to see the folders inside the selected data for conversion. You can even convert only selective folders. Brought to you by Gladwev Software, the tool is backed by 24×7 customer support. Even though the interface and the instructions to use it are simple for everyone, you can still get help from the support in order to facilitate your conversion. Get in touch if you have any queries or face a setback. The link to download the free trial version is given below.